Browse our entire wine portfolio by type, collection, varietal, and food pairing. Visit our historic winery on Biltmore’s 8,000-acre estate. As America’s most-visited winery, we have a lot to offer. 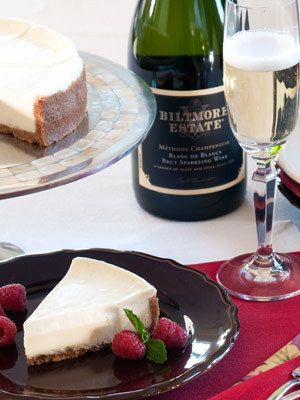 Experience the best of Biltmore wines delivered straight to your door each season. Tips, pairings, and more, courtesy of our Biltmore wine experts. Find the perfect wine to share with friends and family at your next gathering. For centuries, sparkling wine has enjoyed a certain mystery and allure. This drink was so enchanting, some called it “devil’s wine” because of the effervescent bubbles. 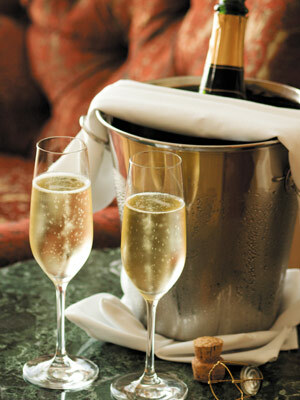 Today, we still love the magical bubbles and appreciate the romance surrounding this delightful wine. The making of sparkling wines (or Champagne) starts with selecting the perfect grapes. Grapes are harvested earlier, which allows for low sugar levels and high acidity levels. This provides the wine’s crispness and allows for more versatility when pairing with foods. 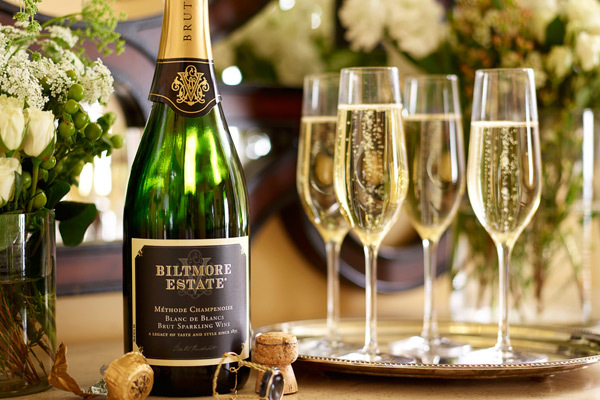 Biltmore’s sparkling wines are crafted using the méthode champenoise, a sign of quality and craftsmanship. This traditional method from France’s Champagne region allows bubbles to be produced naturally in each bottle via a second fermentation or prise de mousse. Unlike other methods, which can create larger bubbles that dissipate quickly, méthode champenoise produces tiny, long-lasting effervescent bubbles. A secondary fermentation takes place by adding a liqueur de tirage, a unique blend of sugar and yeast, to the cuvée or base wine. The bottles are crowned using covers that look like beer bottle caps and laid horizontally to begin this supplemental aging process. After aging anywhere from 10 months to two years, the riddling, or remuage, process begins. This next step forces the leftover yeast into the necks of the bottles through a daily series of twisting, turning, and tilting bottles from a horizontal to a quasi-vertical position on a riddling rack, or pupitre. This process takes about three weeks to complete. When all of the excess yeast has settled into the necks of the bottles, they are now ready for disgorgement, or dégorgement. To remove the sediment that has settled, we first freeze the neck of the bottle in a brine solution. The cap is then removed and the sediment freed, allowing the wine to be free of excess yeast. Wine lost during disgorgement is replaced in the final stage, dosage. Here, we will add back in a cuvée solution, or liqueur d’expédition. This unique blend helps to balance the wine’s acidity and to achieve the desired style, from dry to sweet. The bottles are then sent on a quick trip through the bottling room where corks, cork cages, and labels are added before tasting the first tantalizing sip of these exquisite wines. Sparkling wines are best when served at 33° to 40° F.
When opening a bottle of sparkling wine, hold it at a 45-degree angle. Loosen the cage and hold the cork. Gently twist the cork until it pops. To store an open bottle of bubbly, use a special Champagne topper. These metal caps with a rubber seal keep the bubbles fresh for the next time you want a glass. Most sparkling wines are sold ready to drink, so don’t hang on to bottles in an effort to further “age” the wine. 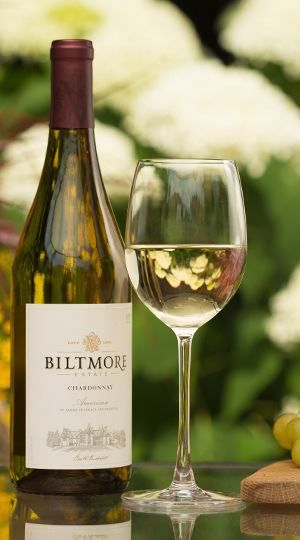 Chardonnay is the world’s most popular grape, and it happens to be a favorite here at Biltmore as well. From its impressive clusters of green-skinned fruit to its compatibility with a wide range of climates, Chardonnay is a definite star of the wine world. When you think of Chardonnay, you most likely think of a buttery, toasty white with notes of vanilla. That’s because Chardonnay readily absorbs flavors during oak aging, maturing into a full-bodied wine with a rich, creamy taste. When put through malolactic fermentation, additional buttery notes develop, creating an even fuller, more rounded mouth feel. Unoaked Chardonnays, however, taste quite different than the traditional oaked varieties, offering a fresher profile with more tropical, fruit-forward flavors. The unoaked trend is gaining in popularity, allowing wine drinkers to experience the true varietal characteristics of the Chardonnay grape rather than the heavier, creamier style of the classic aged version. Falling somewhere between these two options, you’ll find Chardonnay Sur Lies, which is produced through careful aging on the wine’s sediments or “lees.” A small percentage has light oak contact as well. It’s not as rich and buttery as traditional oak-aged Chardonnay, but offers more body and complex flavors than the unoaked variety. Don’t forget about the bubbles! Champagne and sparkling wines are often blends of several varietals (including Chardonnay), with the blanc de blancs (“white from whites”) category reserved for those made from 100% Chardonnay grapes. This style of sparkling wine tends to be lighter and more refreshing than traditional champagnes.